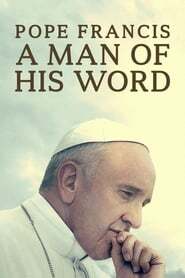 Storyline:- Pope Francis travels the world speaking to those in need and delivering a message of hope. Storyline:- An ecological drama/documentary, filmed throughout the globe. Part thriller, part meditation on the vanishing wonders of the sub-aquatic world. Storyline:- A 3-months-old chimpanzee is separated from his troop and is then adopted by a fully-grown male. Storyline:- A concert documentary shot during the Glee Live! In Concert! summer 2011 tour, featuring song performances and Glee fans’ life stories and how the show influenced them. Storyline:- A nature documentary centered on two cat families and how they teach their cubs the ways of the wild. Storyline:- The exceptional life and career of U.S. Supreme Court Justice Ruth Bader Ginsburg, who has developed a breathtaking legal legacy while becoming an unexpected pop culture icon. Storyline:- A look at one year in the life of four babies from around the world, from Mongolia to Namibia to San Francisco to Tokyo.